Daniel Johnson was the younger brother of Isaac Johnson who died in 1918. Daniel Johnson was born in 1891 in Muston. He entered Muston’s village school in 1895, and was captured in a school photograph taken in 1902. His parents were John Johnson, born in Barrowby, and Annie Johnson, from Bottesford. In 1901, the family lived on Woolsthorpe Road, Muston. John Johnson was a platelayer. They had four children: Frances (12), Isaac (11), Dan (9) and Lily (5), all born in Muston. In 1911, the Johnson family had moved to Tweltridge’s Row. Frances and Dan had left, but Isaac and Lily were still with their parents, along with Amy (born in 1908 at Boothby Pagnall, Lincolnshire). 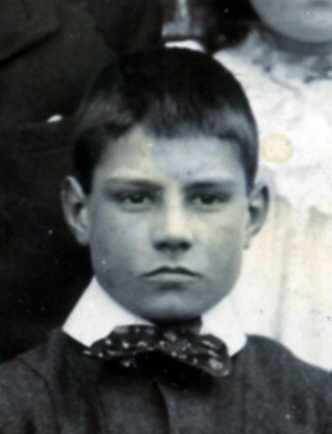 It has not been possible to locate Dan Johnson in 1911. A set of Daniel Johnson’s military service records survives. He was Private 23263 10th (2nd Reserve) Battalion. 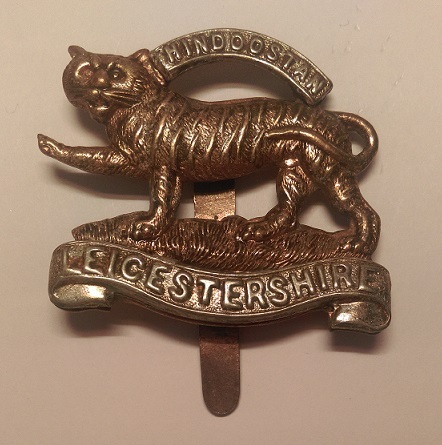 Leicestershire Regiment, later transferred to the 2nd Battalion Leicestershires. He was an infantryman in Mesopotamia and India, but suffered greatly from malaria and associated illnesses from 1916 to 1918 and was assessed as 30% disabled in 1919 on his return to England (though this was in 1920 reduced to 20%, which brought about a revision of his disability payment to 5s/6d per week for 52 weeks only). He was transferred to Z-Reserves at Lichfield on the 24th March 1919, in preparation for his final discharge from the army. The log of his medical record provides further details. He enlisted on the 16th November 1915, aged 25 years and 180 days, and was posted as Private 23263 to the 10th Battalion at Rugely Camp from the 4th December 1915 to the 13th May 1916, after which he went to Basra on the HS Llandovery Castle arriving on the 13th June. He was admitted to British War Hospital in Amarah on the 19th July 1916 being “dangerously ill” with fever, but was taken of the critical list on the 5th August. On the 30th August he was sent on to Bombay, arriving on the 5th September, and joining his unit in the field on the 14th December, 1916. However, he was sent back to Basra on the 20th January 1917 and was treated at Amarah from the 16th February to the 2nd March. He then joined the 2nd Battalion, Leicestershires, on the 25th March but immediately went down with gastro-enteritis, and on the 16th July 1917 was invalided to India on the HS “Varela” suffering from what was now recognised as malaria. He was in hospital at Secunderabad from the 24th April 1918, then Trimulgherry from the 16th July 1918, then back to Secunderabad from the 13th August 1918, before being sent back to England on the 1st September 1918. He clearly had most unpleasant and frustrating time, and was perhaps lucky to come through. In the Grantham Journal of the 2nd August 1919 there is an account of the Muston Peace Celebration in which a D Johnson was recorded in the men’s Sack Race. There are Electoral Roll records of Daniel Johnson and his mother Annie Elizabeth living in a house on Jubilee Row, Muston, in 1921 and 1926, and then the 1939 register records them at the same address, describing Daniel as a cowman and Annie as a widow. Daniel Johnson died in 1968 in the Grantham area (Muston), aged 77.